Azucena Teran is currently a junior at La Joya Community High School. She is a huge fashionista who loves watching Netflix and listening to music. She is involved on campus in various ways such as being the manager for baseball and a member of the Science Club. 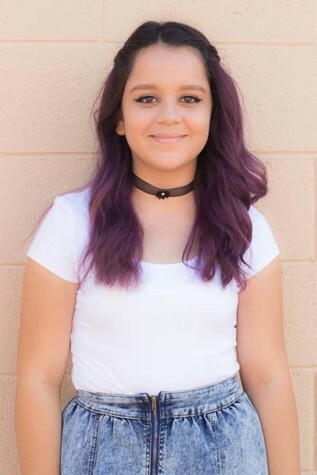 One of her passions is journalism because she is very creative and hopes to work on the yearbook this year so she can express that creativity with the school. One of her greatest accomplishments is getting awarded the Superintendent's list for her academic abilities. When she graduates from high school, she hopes to own her own business, preferably a clothing store. She also dreams of someday being able to travel around the world and attending every concert possible so she can meet every one of her favorite band members.